Cantor Sara Kheel hails from Los Angeles, CA. She began her involvement in the Jewish community early in life, studying at Abraham Joshua Heschel Day School in Northridge, CA and spending her summers at Habonim Dror Camp Gilboa. She grew up at Temple Judea in Tarzana, CA, where she also sang and led services as a young adult. It was there that she began her trajectory toward the cantorate. She received her B.A. in 2007 from the University of California, Berkeley, majoring in Theater and Performance Studies and minoring in Spanish Language and Literature. Prior to enrolling at cantorial school, Cantor Kheel worked as the Programming and Engagement Director at Hillel at Pierce & Valley Colleges. She was a founding board member of Valley Ruach, a Jewish young professionals’ organization affiliated with Temple Adat Ari El in North Hollywood, CA. She was also Assistant Director and President of Los Angeles-based Jewish a capella group Shir Ba’ir. She spent three summers as a songleader at URJ Crane Lake Camp and one summer as the Assistant Limud Director and T’filah Coordinator at URJ Eisner Camp. Cantor Kheel was ordained from Hebrew Union College – Jewish Institute of Religion in 2017. 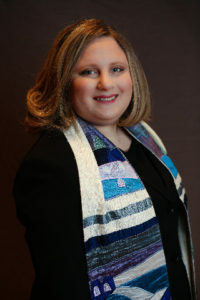 During cantorial school, she held pulpit positions at Garden City Jewish Center in Garden City, NY, Congregation Or Hatzafon in Fairbanks, AK, Temple Beth Shalom in Arnold, MD, and Temple Beth Israel in York, PA. Immediately following ordination, she spent a year as a chaplain resident at NYU Langone Hospital – Brooklyn. She is passionate about creating meaningful worship, composing new Jewish music, and pastoral care.